You don’t have to visit a large entertainment venue to see an amazing show by a nationally touring artist. Read about some intimate hot spots off the beaten path that are putting on some high-caliber productions, often in unexpected places. Everyone knows where the big-time, touring headliners stop when they visit the Rockford area. But did you know that, nearly every week in our region, less-famous touring artists are performing in smaller, more intimate venues all around you? Small storefronts, churches, old buildings adapted into theaters – all are a staple of the performing arts in the Midwest. What you’ll find inside these offbeat venues are high-caliber productions showcasing an amazing array of talent performing material you’ve likely never heard before. And that’s OK, because you’re about to discover what it’s all about. Here are just a few places to explore new works and new artists in a venue so intimate you’ll almost feel like you’re part of the production. When Concerts on the Creek (COTC) launched in June 2014, only 45 people attended the first show. These days, shows average an audience of about 150, and in some cases, more than 250 people inside Spring Creek United Church of Christ, 4500 Spring Creek Road, Rockford. So, the church began hosting live concerts weekly from mid-May to September, with monthly concerts during the offseason. Musical performances feature a variety of genres, including jazz, bluegrass, Dixieland, folk, gospel, country and R&B. The shows are free, but event organizers ask for a donation when they pass a basket shortly before intermission. Other than a modest percentage to cover expenses, all donations go to the musicians. Local and regionally known musicians appear most often here, but they’re not alone. “One of our more popular family shows features a professional magician and illusionist who just happens to be a member of Spring Creek Church, and he volunteers at the pizza station most Saturday evenings,” Phillips says. Arch Smith at one point had his own stage show he called “Mystic Vision, a Magical Odyssey.” It had 16 dancers, more than 30 magic illusions and almost 50 big cats. Smith is retired from show business, but still returns to the Spring Creek stage with some of his favorite tricks. COTC also brings in more widely recognized performers, including Randy Sabien, Mark Dvorak and Claude Bourbon. Located in the heart of downtown Dixon, Ill., inside an 1854 building, this community fine arts center features artwork from some of the region’s top talent. Visitors to The Next Picture Show (TNPS), 113 W. First St., can view paintings, thought-provoking sculptures and photography all while they wander around the 7,700-square-foot facility. Head downstairs to find classroom space where local artists hold workshops, classes, student art exhibits and meetings with the general public. Each new show helps to shine light on the talented artists in Dixon and the surrounding areas. 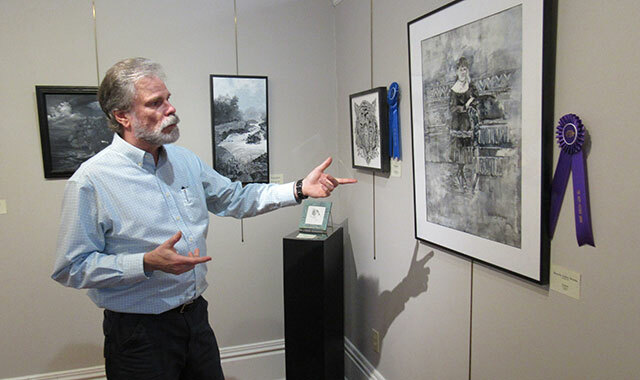 TNPS recently hosted a “Shades of Gray,” art exhibition, which featured 69 pieces of artwork from 34 artists. Adorning the gray gallery walls were works of art created strictly in black, white and gray tones. Attention to this gallery’s programming continues to grow, so much so that TNPS has recently paired up with KSB Hospital to hold additional shows. From April 1 to June 30, TNPS hosts “The Great Outdoors,” at KSB Commerce Towers, in Dixon. Displaying artists were asked to focus on the quiet, open spaces and countryside away from the hustle and bustle of city life. 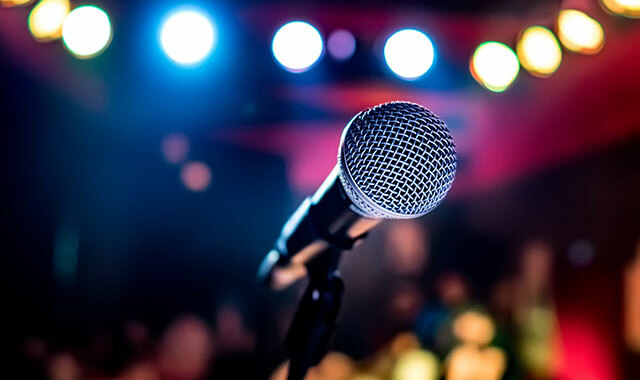 It’s easy to miss the small stage hiding in Rockford’s Midtown District at The Listening Room, 201 Seventh St.
Tucked into the Community Room at the JustGoods Fair Trade Marketplace, this cozy venue creates the perfect atmosphere for an intimate concert. A crowd of 50 is over capacity. To Ron Holm, an artist who’s played at The Listening Room, it’s a special experience to perform in front of a small crowd. 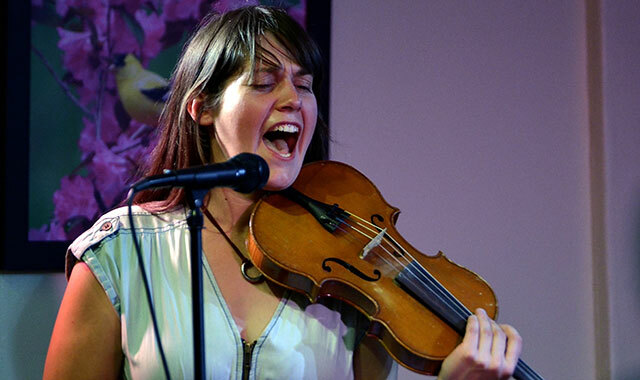 The Listening Room brings in acts that perform a wide variety of music, including folk, soft-pop, jazz and classical music. The relaxed, friendly atmosphere makes audiences feel like they’re part of the show. Or like they’re getting a private performance in someone’s house. “This is truly a listening room, and it attracts top-flight musicians from around the Midwest and even the country,” Holm says. Wood floors and plaster walls make the venue optimal for acoustic music – the hardwood floors complement the natural sound. The 48-seat capacity encourages comfortable communication between the audience and the performers. The JustGoods Community Room is mainly used for concerts, but it also holds plenty of other events, including fundraisers, discussions, classes, art exhibits and presentations. Events at The Listening Room are free, but organizers encourage listeners to place generous donations in a collection basket. Scattered around our region are several high-caliber performing arts groups that bring live theater to an intimate stage. Each has its own vibe and its own approach to theater while sharing a combination of drama, comedy, musical and recently written productions. Cheek Theater at Rockford University: Throughout the school year, students at Rockford University explore dance, music and theater inside this cozy 40-foot by 50-foot black box venue. But they also share the stage with Artists’ Ensemble, which has found a niche performing new, unknown and world-premiere plays over 15 years. Pec Playhouse Theater: This nonprofit theater in downtown Pecatonica, Ill., was created in 1991 by a group of high school students and recent graduates who wanted to continue performing outside the classroom. The handful of shows their group hosts each year in a 124-seat venue consist of musicals, comedies and thought-provoking dramas. Winneshiek Players: Located in the heart of Freeport, this all-volunteer theater has been entertaining for nearly 90 years, making it one of the oldest, longest-running amateur theaters in the country. On its intimate stage, the group has hosted hundreds of comedies, dramas and major musicals – many of which will be unfamiliar to area audiences. 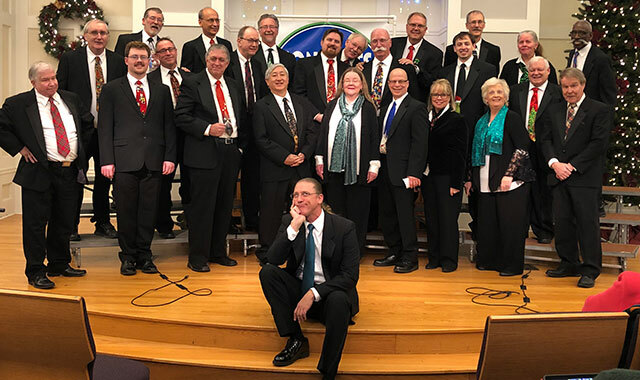 Main Street Players of Boone County: This Belvidere group was created in 1994 as a nonprofit community theater troupe, and it’s still the only such organization performing in Boone County. The actors, the set crew and the board members are volunteers. Most shows are comedies, but the group also hosts one musical each season. Performances are held at the Community Building Complex of Boone County. Beloit Civic Theatre: Since 1932, this community theater group has produced a variety of comedies, dramas and musicals for the Beloit area. The season typically runs from early fall through spring, with all performances held in the 200-seat Elizabeth Reinholz Theatre at Beloit Memorial High School. This entry was posted on Tuesday, April 9th, 2019 at 12:00 pm	and is filed under Arts & Entertainment, Top Posts, Uncategorized. You can follow any responses to this entry through the RSS 2.0 feed. Both comments and pings are currently closed.